Four years ago, the Big Bang Data exhibition encouraged us to question the role of Big Data in society. Big Data was the focus of reflection, even becoming an artistic work for the exhibition; however, exact figures were not spoken about in the museum context. Today, museums form a part of the booming industry of Big Data. 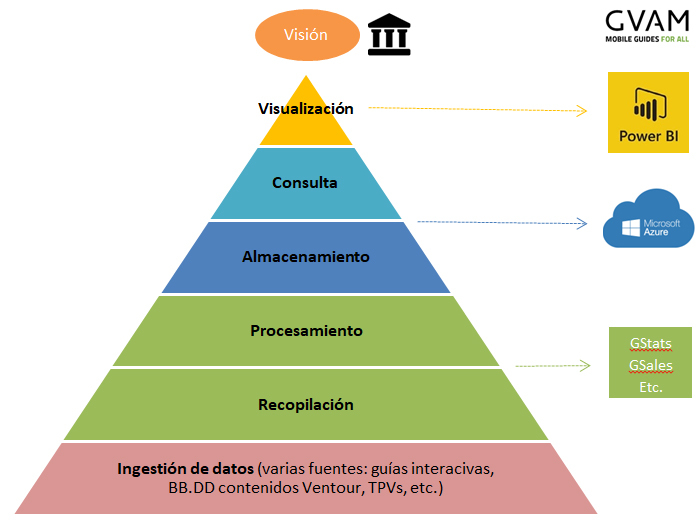 Indeed, at the end of last year, we witnessed the “first study on Big Data in Spanish museums”. The cultural sector has gone from being inspired by Big Data to producing Big Data. Or rather, it already produced large data sets, but now the sector has begun to extract information from them. This information becomes valuable if it increases knowledge and allows management to make more informed decisions based off of it. This is ultimately why Big Data is useful: to transform itself from data into wisdom. Until now, knowledge about visitors had been obtained through satisfaction surveys or through manual procedures. One of the cases described by Eric Holter, CEO of the US Company CUBERIS is particularly striking. He recounts how reactions of visitors to the interactive offerings in a museum were analyzed. The project was carried out by recording videos of the visitors and taking notes sequence by sequence. The results were very enriching, but the question remains whether the cost of such an activity emits a corresponding level of benefit and whether the time and effort is really worthwhile. In “El País”, the director of the Picasso Museum in Málaga paints a portrait of the same situation in Spain: “a good statistical study, both precise and multifaceted, is expensive” he says. “The best way to do it is by asking, another is to observe”. Big Data allows a large volume of data sets to be treated and analysed in an efficient manner. Large multinationals specializing in analytics have always maintained that the quantity of data is not the element of greatest importance, but rather what the organization can do with it. 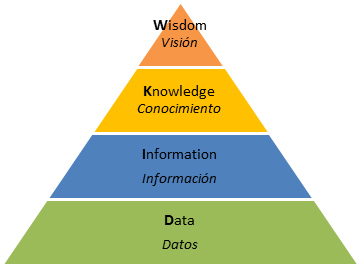 This leads us to the 5 dimensions of Big Data: Volume, Velocity, Variety, Veracity and Value. Volume: generally, interactive guides are used by between 15-20% of visitors. In the near future, the incorporation of new audiences is expected due to continued innovation in content. In short, the sample is and will continue to be very representative of the total number of visitors. The other sources, both internal and external, added to this; provide even more information about the visitors. Velocity: These devices generate a large volume of information very quickly, understanding speed in two ways. On the one hand, each interaction with the screen is measured, so that the sample size varies from second to second. This allows us to identify the zones and the most viewed contents in each time slot. On the other hand, when new content is incorporated for a temporary exhibition or an interface is renewed, the new content is automatically added to the data cloud. Variety or Complexity: The reports compiled in museums that use interactive guides are not based on just one source; they are completed using information from ticketing tools, social networks, content databases or external sources. To add to this complexity, these interactive guides have a specific structure of content and a purpose that must accurately be taken into account. They are specialized tools, whose activity CANNOT be measured using general analytical tools like Flurry and Analytics. Veracity: the data obtained is converted into quantitative information generated from the interaction of the visitor. The tool does not require the direct participation of the visitor in the evaluation of the service, nor does it allow the person who analyses it to make a judgment. In addition, the user data is compared and contrasted with sales data for greater reliability. Valor: this is the dimension on which we will concentrate in September, analyzing the value that Big Data can provide for distinct areas and departments of museums. The Bernabéu Tour is a museum environment that despite not housing works of art operates in a very similar way to artistic museums: it’s interactive, it has determined routes, it offers flexibility, it requires updates, etc. As shown, the “ingestion of data” is achieved using multiple sources. The collection and processing of the data takes place through GVAM’s own tools (such as GStats, a specialized system in the processing of data from interactive guides). In terms of storage, we use cloud systems that allow for plenty of storage space. Lastly, the presentation of the data is facilitated by dynamic reports generated by Microsoft’s Power BI. The Bernabéu Tour is not the only museum to use this tool with the British Museum in London employing Power BI last year. It is at the top of the pyramid where knowledge begins to be generated and from here where we can begin to work with cultural institutions to achieve their vision. In the next post, we will analyse the arguments both for and against hopping on the Big Data bandwagon. Inventions of the past that were the key to the future… in a present-day museum!